Here is a clipped “Mr. Tambourine Man” and full versions of “Masters Of War” & “Changing Of The Guards”. The videos were broadcasted in 1979 by Italian TV in the TV special “Il Profeta é Stanco”. 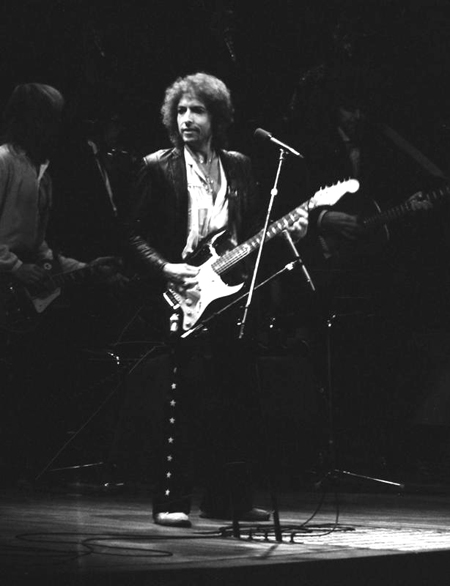 I was there that night; my first Dylan concert!